Will Ghibli ever employ a female director? 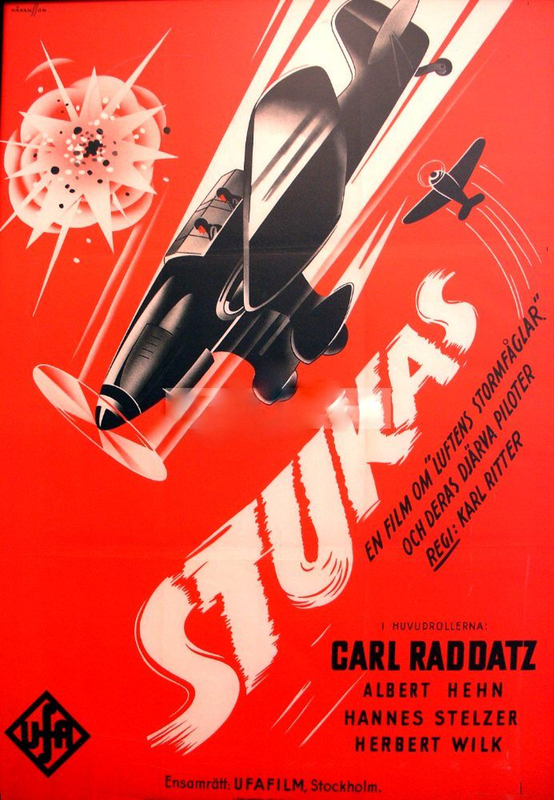 In “Stukas (1943, Germany)”, directed by Karl Ritter, dive bombers create shrieking, menacing noise, accentuating the furious velocity of attack. This unnerving noise is the sound of the infamous “Jericho Trumpet”, a wailing siren device mounted on the Junkers Ju 87 (“Stukas”). The historians said that purpose of this devilish siren was to intimidate ground enemies as the aircraft engaged dive bombing. This ‘trumpet’ symbolizes the velocity and intensity of Blitzkrieg of the Third Reich during the early stage of the war. The film’s director, Karl Ritter, was an officer of Lufewaffe and an avid aviator himself. Ritter carefully prepared “Stukas”. He co-wrote the screenplay after having researched the Stuka in occupied France in September 1940, and a Major in the Luftwaffe himself, flew the Stuka to gain insight into what it was like to be a pilot of this aircraft under battle conditions(1). The idea of using sounds or noises during an air-to-ground attack with a specific intention to intimidate enemy or citizen below elicits disturbing imagination. Though the ‘Valkyrie’ village attack scene in “Apocalypse Now” had become a staple audio-visual commodity since ’70s, absurdity and horror of such an idea, or very existence of such an idea, are quite shocking. I thought the scene in “Apocalypse Now” was a product of imagination, or at least an exaggeration or an interpretation of American military mindset by Frances Ford Coppola. However, such missions did exist during Vietnam War, and helicopters and aircrafts equipped with loudspeakers were used in PSYWAR. According to Herbert A. Friedman, the aim of these missions was not only to intimidate enemies but also to identify enemy positions. Such a noisy, irritating aircraft could easily draw fires from enemies below. In some accounts, Iron Butterfly’s “In-A-Gadda-Da-Vida” was reported to be the most effective in eliciting enemy’s fire. When a helicopter played loud music for intimidation, it was Vietnamese funerary dirges, not a Wagner. It seems it did have effects on Vietnamese people and that was the intention. 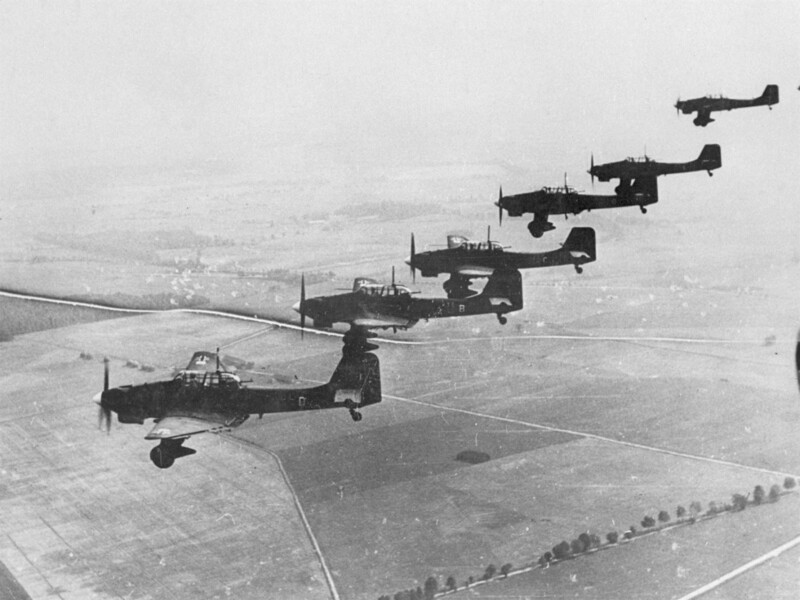 It’s been said that Jericho’s Trumpet on a Stuka had lost its effect after a while, and the Germans abandoned the contraption altogether. I have no idea if it is true or not. Sometimes, a fiction acts as a mirror reflecting the image of us. The problem is, the image is not a true reflection. It is distorted, and sometimes beautiful. It can be intoxicating. And that is how propaganda works.